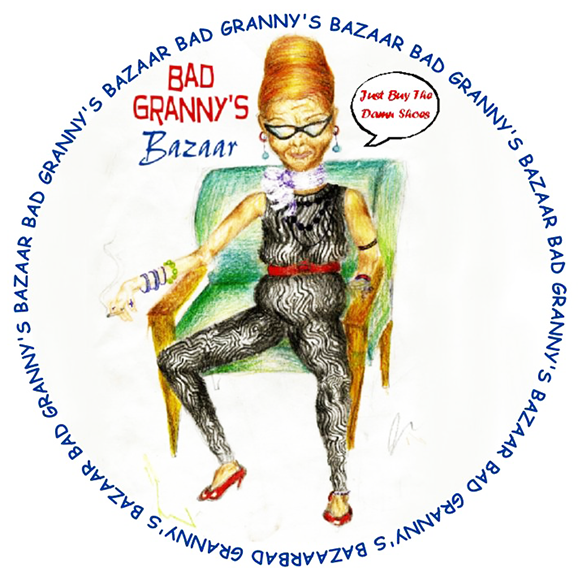 If vintage suits your fancy, then Bad Granny’s Bazaar may be the shop for you. Located at 1759 NW 16th Street in the historic Plaza District, Bad Granny’s provides a wide selection of vintage and retro clothes as well as various other treasures. Customers are greeted by a wall of clothing as they enter the store. Whether you are looking for a costume, your next tacky Christmas sweater or simply everyday wear, Bad Granny’s is sure to have it. Old wedding dresses, baby clothes, hippie clothes, and a selection of bad ’80s prom dresses are just a few of the things I saw. The store is split up into several vendors so it is easy to find what you are looking for, such as jewelry, clothes or random tchotchkes. My favorite vendor is the music room in the back of the store which is filled with dozens of crates of vinyl records. If I would have had more time, I could have spent hours looking through that room. Overall, the store had an old-timey vibe to it that made me feel as if I had taken a step back in time. While the store had a lot to choose from, the area in which it really excels is clothing. I could easily spend a whole day looking at clothes and still not make it through everything. While I ended up leaving the store empty handed, I still had a great time going. My friend found a beautiful dress she is going to fix into a Halloween costume. Nonetheless, it was fun sifting through fashion nightmares of the last few decades and finding things I never would have imagined existed. The staff was friendly and the store was fun. It was a well spent Saturday afternoon.